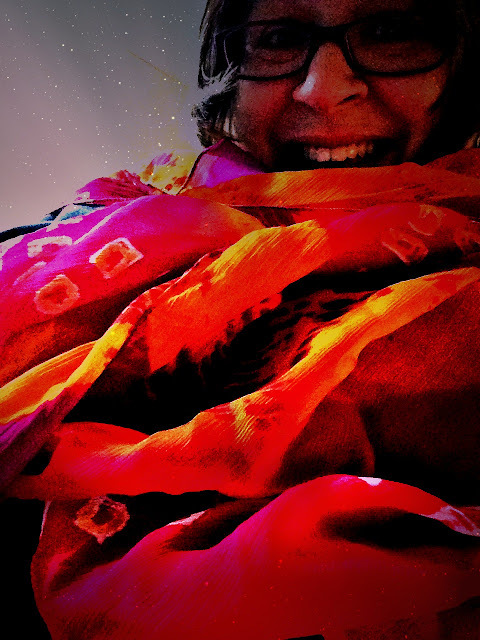 Home / Blog / color / Vivienne McMaster in Artful Blogging! Vivienne McMaster in Artful Blogging! by Lynda Shoupon August 22, 2013 August 22, 2013 Leave a Comment on Vivienne McMaster in Artful Blogging! 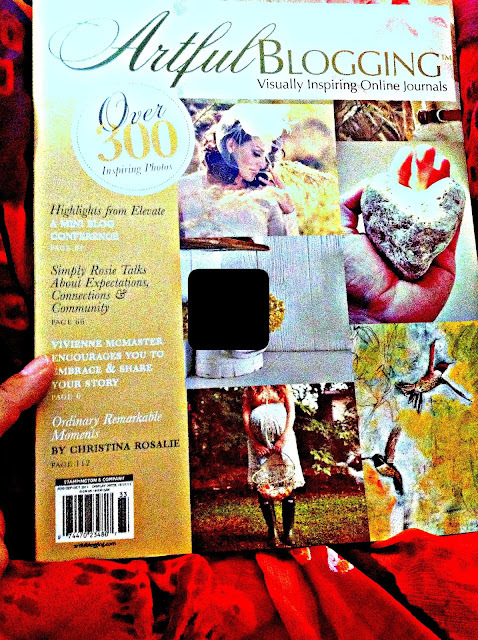 When I learned that Vivienne McMaster was going to be featured in Artful Blogging I was very excited! Vivienne has been such an inspiration to me. Having seen the issue blogged about, I haunted my local book seller. I couldn’t get my hands on a copy. Then yesterday I saw it as I rounded the rack and exclaimed “Oh, there it is!” A woman who was looking at quilting magazines asked what I was so excited about. She didn’t know about blogging or Artful Blogger, but she went home with a copy in her hands and plans to put her quilts online. I learned about Vivienne’s classes when a writer whom I admire changed her twitter profile photo and commented that she had taken it in an online class. I got Vivienne’s contact info and then time went on. Several years later (last summer) I took my first course with Vivienne. She is a kind and gentle soul who brings out the best in people. The community of people she draws to herself is positive, powerful and inspiring. No wonder I keep going back for more. Congratulations, Vivienne. To celebrate your appearance in Artful Blogging, I decided to take some selfies. I share my favorite with you here. That's neat. I saw that magazine at Barnes and Noble. It's certainly fun to see the synchronicity when people appear in our lives in several different ways. Love seeing some of my favorite bloggers on book store magazine racks.